The oldest dance group on campus, Yaledancers is comprised of talented, committed students who hope to continue to learn and improve as dancers while at Yale. The company prides itself on its dancers’ ability to perform a wide variety of dance styles, including classical and contemporary ballet, jazz, contemporary, tap, hip hop, musical theater, and modern dance. Members, selected by audition each fall, meet twice weekly for technique classes taught both by students and guest artists, in addition to rehearsals for individual student and guest-choreographed pieces which culminate in two sellout shows (Fall and Spring). Company members are encouraged to choreograph for the semester shows in addition to performing. Yaledancers provides a social outlet and sense of community for members, creating lasting friendships among both graduate and undergraduate students. Yaledancers is also a founding member of the Alliance for Dance at Yale. 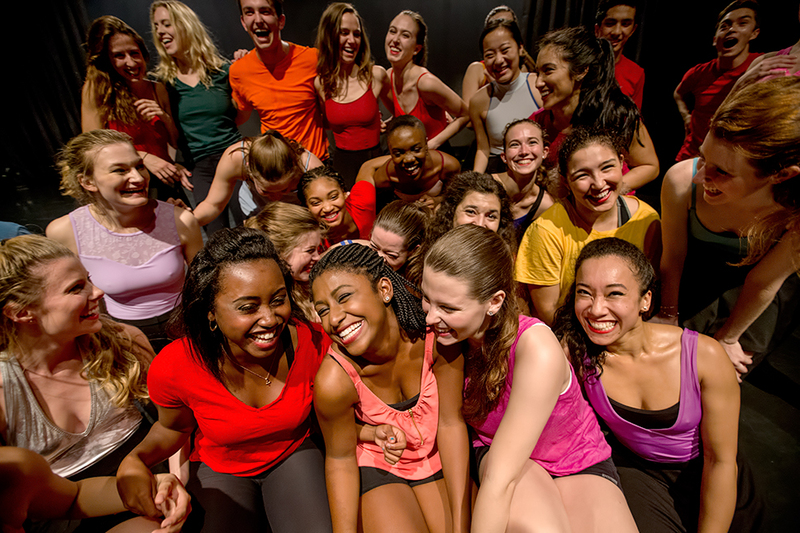 ADAY serves as a collective forum for dance groups at Yale and provides classes, support, and the Dance Symposium to the Yale dance community. YD alum Eliza Minden created the renowned Gaynor Minden pointe shoes, the first brand of pointe shoes that implemented modern technology in its design.